Lackendarra: Jim Fitzgerald was like many men who went to fight in the great war in 1914, but unlike most, when he returned he couldn’t settle back into society. He fled civilization to live the life of a hermit in the Comeragh Mountains of Co. Waterford. This is the story of his life, how he etched a living on the slopes of the mountain for nearly 40 years and became known as the mysterious figure ‘Lackendarra’. Happy Family: Dylan is a 9 year old boy living happily with his mother, Rachel. When she brings her new man, Olu, into the house, Dylan takes matters into his own hands to get rid of this new intruder and claim back his home. 3Epkano – Smiling Politely: In 2004, Matthew Nolan and Cameron Doyle set about forming a unique music ensemble. Their intention was to compose and perform original music scores for films of the silent era… They named the band 3epkano. A shortened reinterpretation of the successful science-fiction film made as a submission to the Empire 60 Second Film Competition. A faded icon of stage and screen prepares for the greatest performance of her life, a star studded suicide. Julie, a loner who lives with her Mother and her best friend (a cat), seeks the services of Chantal, a recently qualified “colour therapist” with questionable methods and even more questionable intensions in this surreal dark comedy. At Midnight Ellen Love returns to the grave of her beloved in a moonlit gothic dream. John and Noreen’s relationship is at a crossroads. John wants to take it to the next stage. Noreen doesn’t. A documentary that shows a different side to line dancing other than toeing, heeling, skipping and jumping. A collection of low-fi surreal shorts by Bryan O’Sullivan and Séamus Hanly, accumulated as the result of something of a prank war between the two. with narration by Séamus Hanly. An improvisation based British mockumentary following Sarah Collins, a young woman on a journey to meet her real mother Shanti, a dance instructor in East London with bizarre teaching methods and suspicious mental health issues. With a camera crew, Sarah spends five days with Shanti, posing as a student before she reveals her identity as The Secret Child of Shanti. There will be no New Volta for this month. Apologies to all. Anyone who had submitted a film for December will have theirs shown in January, including any Christmas themed films, by way of compensation. Merry Christmas and we apologise for any inconvenience! Her name is Grace… but she wasn’t given any. A survivor of Ireland’s Magdalene Laundries looks back on her life and considers the possibility of hope and justice. This short film highlights how the Magdalene Laundries are hardly an issue of the past but a pressing present-day concern for recognition of these human rights atrocities which many Irish women still have to live with today. Shattering his hand during a championship bout, prize-fighter Christian Connolly reluctantly befriends the young enthusiastic boxer Jamie Quinn. This fragile relationship will have life changing consequences for both fighters. 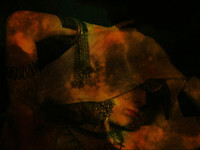 Music video to the song “Gilgamesh” by Tramp Artists (Lewis Lazar & Simba). A unique re-enactment of the classic film. The thirteenth installment of the Lonely Days series, featuring Heber Hanly.